The Case Shiller report for house prices was released yesterday. The index was up again in September. It has posted gains every month since September 2011. 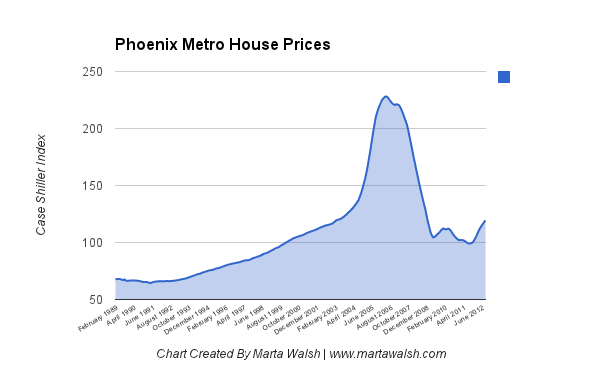 Phoenix metro is up 20.4% in the last 12 months. Making us by far the hottest real estate market covered in the 20 city Case Shiller report. I created a quick chart with the data. Growth is still happening. Lending is happening. Prices are rising. I see this pattern continuing throughout 2012 and into Q1 2013. After Q1 I see supply rising and that putting some downward pressure on price rises. 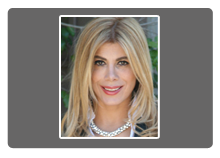 If you are a seller it’s easy to get swept up in the thought that prices may have risen 20% in the last 12 months when it comes to pricing your home. But word of caution. If you look that the chart above prices are still at 2002 / 2003 levels. You cannot expect to achieve 2006 prices yet.